General Motors rocked the industry late last year when it announced plans to idle several factories and kill off several sedan models, but apparently not all of these sedans are actually dying. In particular, reports of the Cadillac CT6’s demise were greatly exaggerated–or GM just changed its mind since the announcement. 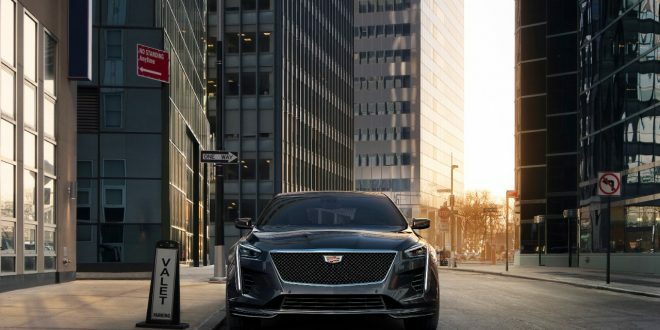 According to several reports from this week’s Detroit Auto Show, GM executives have confirmed they are actively seeking alternative production locations for Cadillac’s flagship sedan. The CT6 is currently produced at GM’s Detroit-Hamtramck Assembly plant, which is slated to close its doors in June of this year. GM says they have a couple options for continuing CT6 production. One such option is to find another plant in North America to produce it, which the company says is the ideal solution. A viable location could be the company’s Lansing Grand River plant in Lansing, Michigan, which produces the ATS Coupe and CTS sedan. This plant is also slated to produce the upcoming CT5 sedan. The other option is to import the car from China, where the car is produced for the local Chinese market. Cadillac was already importing the CT6 plug-in hybrid, but has since discontinued that car from the U.S. market. Given the ongoing trade war between the U.S. and China, this is likely not a very viable solution. Nonetheless, Cadillac is apparently aspiring to keep the CT6 in its lineup. It seems unlikely the plan was always to keep the car in the lineup given GM is in the last six months of planned production and still has no plan in place to keep the car, but at least they are apparently trying. I’m glad they are keeping the CT6, it would be the only large caddy available when the CT4,CT5 debuts. Well, importing from China seems to be the answer. I wonder about how the market would react to that, though. Especially when you have a Chinese-owned company (Volvo) setting up manufacturing in the US. That and a 25 percent tariff might change the usual business case. I wonder if they might be cooking up a deal with Magna, who is reportedly looking at the Oshawa plant. Sounds like it what was reported accurately reflected what GM announced. And GM didn't correct the story right away. I suspect that means there were legal/contractual reasons around the closed plants that limited what GM could share at the time or GM actually changed its mind on the CT6 . Plant decision should be interesting, given the low volumes involved. Maybe outsource to someone like Magna, who is reportedly looking at the Oshawa plant? Cadillac PR confirmed the cars death back at the time. They've literally just changed their minds in the meantime. GM in the way they handle things, cause a lot of their own problems. Just look at the recent Chevy quality ad boondoggle and them having to pull it.